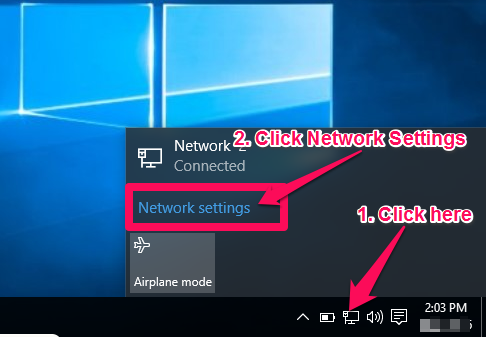 Click the Network Icon in the system tray and then press the “Network Settings” option. 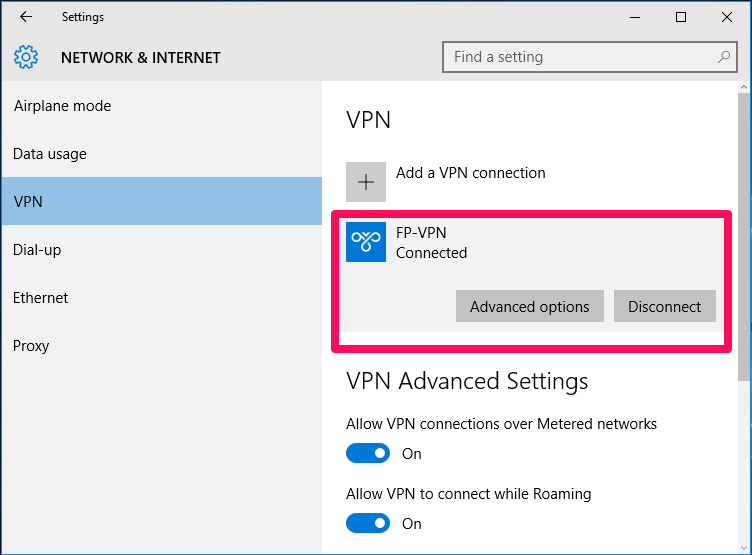 Under Network and Internet settings, click on ‘VPN’ on the left and click the ‘Add VPN Connection’ button. 2. The connection name can be anything you like. 3. 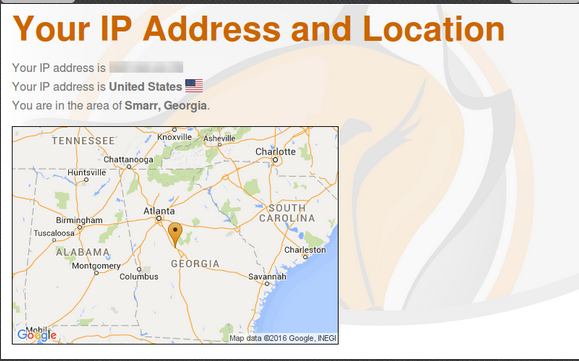 In the server name or address section, enter the server address sent to you in your welcome email. You can also find this information here. 5. Select User name and password under the ‘Type of sign-in info’ and enter your username and password. 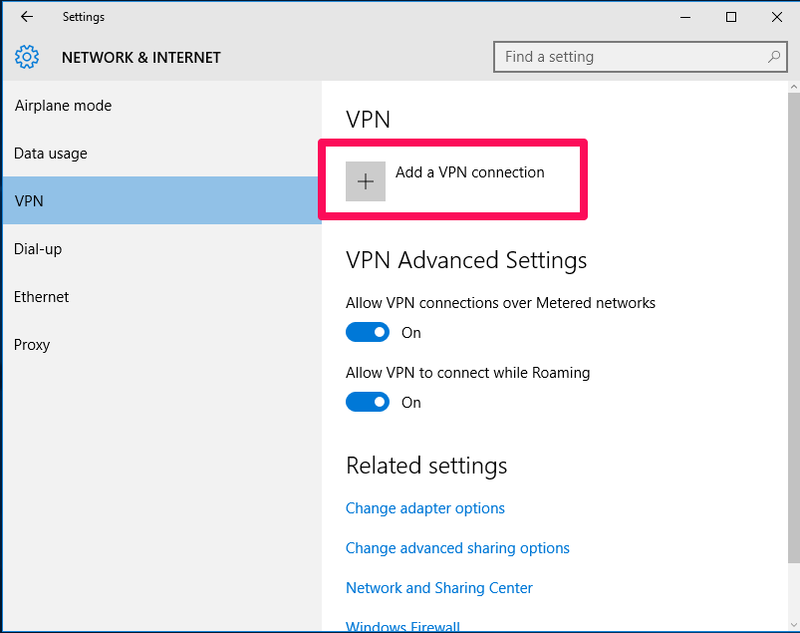 Click the “Save” button to save the new VPN connection. 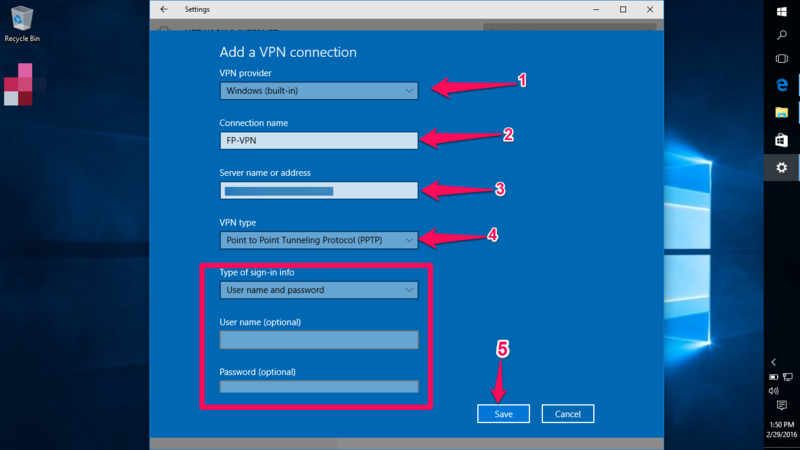 The VPN is now available in the VPN section of your Network and Internet settings. 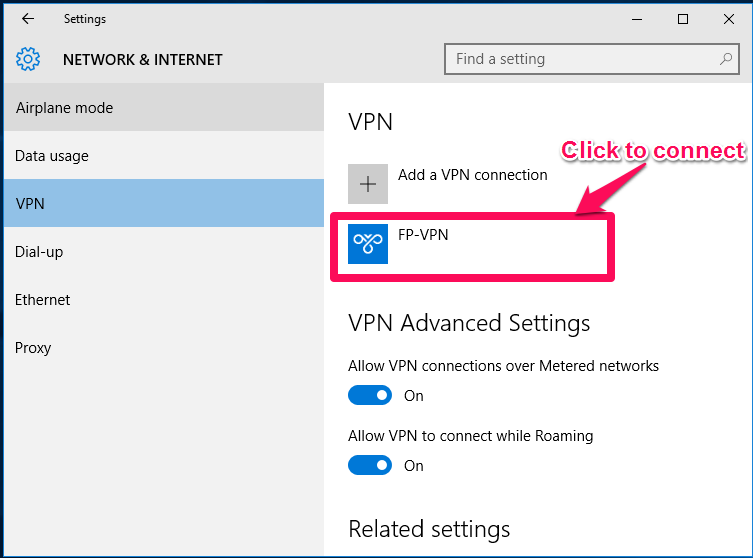 Click on the New VPN to connect to it. That’s it, you’re connected to the VPN! Visit this site to confirm that you set everything up correctly.